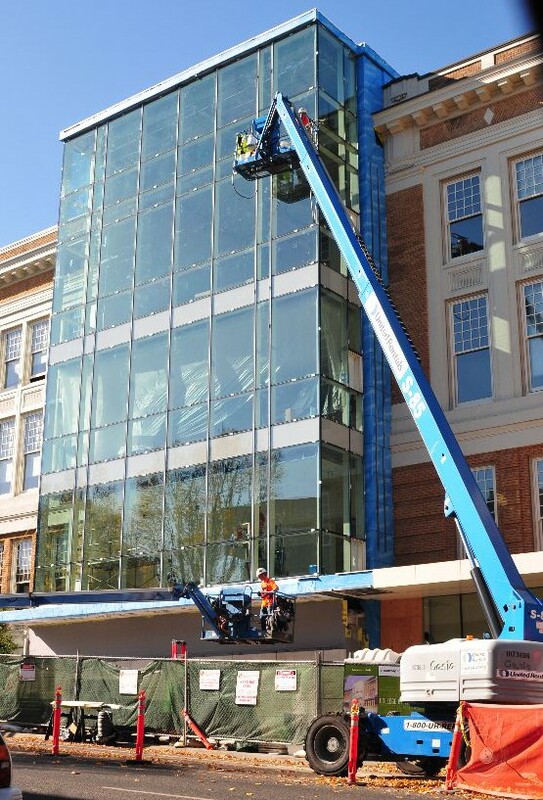 PSU Lincoln Hall Broadway Tower Addition Project – Howard S. Wright Construction, Inc.
A 3-story approx. 3,360 s.f. tower addition to Lincoln Hall. The new addition will house an expanded green room for the main performance hall, as well as two dance/movement studios. The Project also includes modifications to convert an acting studio (Room 55) into a blackbox theatre. Bidders should include only work specified as “Alternate 1”. The project will include selective demolition and abatement of the area over what was originally the boiler room for Lincoln Hall. Construction of the new tower will include, among other things, structural steel, curtain wall, roof structure, interior finishes and upgrades to connecting spaces.